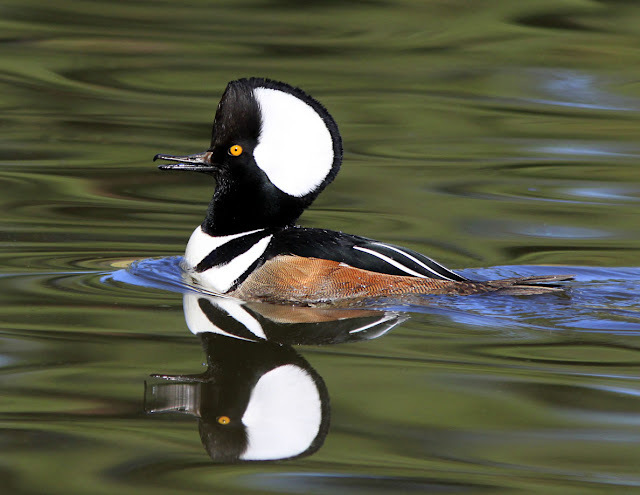 Thomas Chang: "This time of year is always a fantastic time for birders since the migratory birds have returned to spend the winter. Here is one duck that you don’t see every day." Thomas Chang's enthusiasm for birds can be infectious. I'm always amazed at how he captures his subjects. I've asked him on his preferred tools of choice. Thomas declared, "I own the Canon 7d and Rebel T1i. 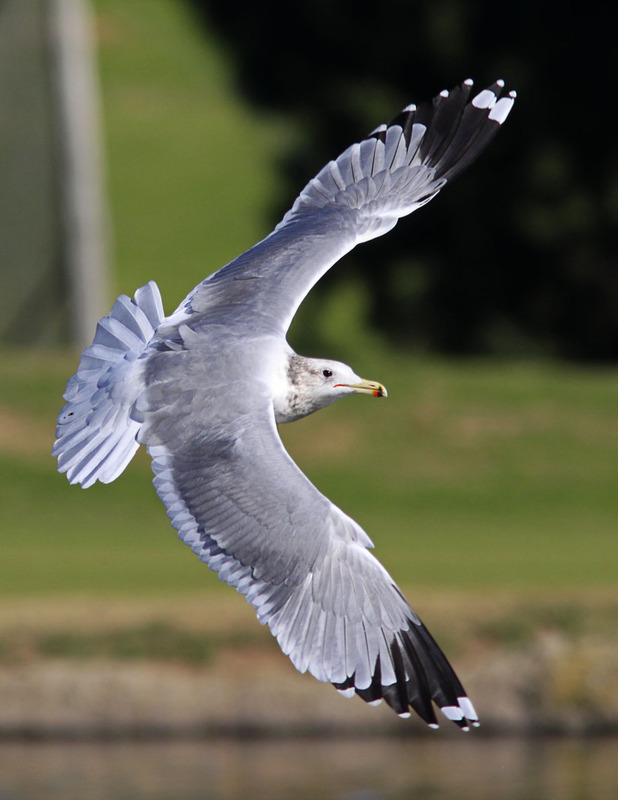 Most of my bird photos were shot with the Canon EF 300mm f/4.0 L IS Lens with the 1.4x converter. For close-up subjects, I use the 100mm f/2.8 L Macro lens. Both lens have image stabilization. No filters." "Most of these photos were shot at f8 and around 1/1000 sec to freeze the subject while it’s moving. I set the camera to AI Servo and the image stabilizer on the lens to 2 to better track the birds. My camera is set to center-weighted metering and high speed continuous mode for moving subjects." 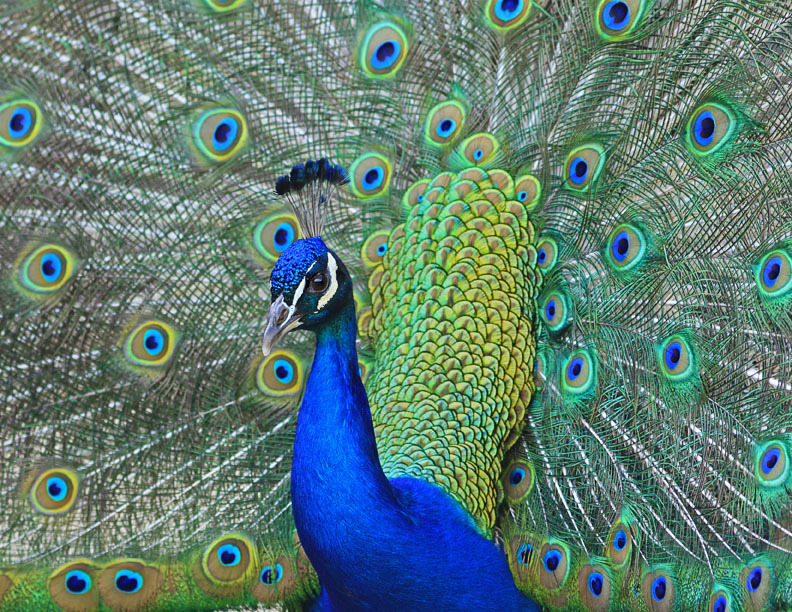 A male peacock displays elaborate plumage: "This male peacock is showing off its elongated upper tail feathers with brilliant, greenish-blue color, and bold spots that look like eyes. Colors are used to attract females during courtship. As the peacock displays his fan, he shakes its feathers so that they make a rattling noise. 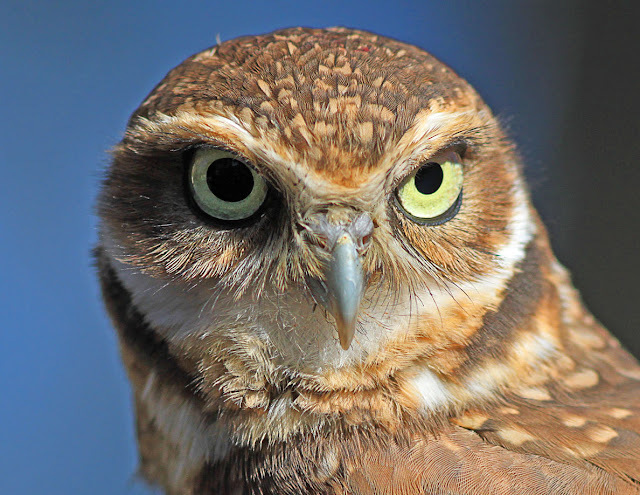 L.A. Arboretum"
Burrowing Owl: "Unlike most owls, burrowing owls are active during both day and night. During the day, they are usually seen standing erect at the mouth of the burrow or on a nearby post. This picture was taken in an agriculture field, at Niland, Salton Sea." An American Kestrel with deep penetrating eyes: "The American kestrel, also known as the Sparrow Hawk, is a small falcon often seen hovering in the air or perching and scanning the ground for prey. The small triangular protrusion from the upper bill, called a tomial tooth, is designed to slip between vertebrae and sever the spinal cord of the prey animal. West Covina"
You can contact Thomas Chang at tchang65@gmail.com. This is part two of a three part installment so as to allow the viewers to truly enjoy Thomas Chang's work. Text and photos are copyright by Thomas Chang. 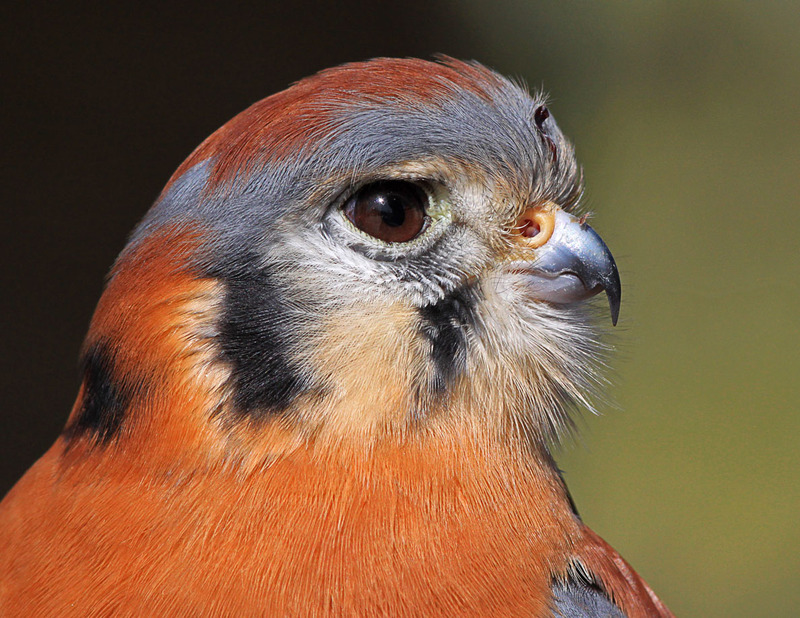 That's one of best close-ups pictures I've seen of the American Kestrel. Do you have a special camera setup? Thanks for sharing you photos!